Born in Montreal, drugs Canada, nurse Martine Viale lives and works in Perpignan, France. 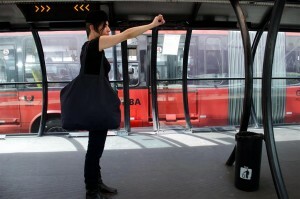 Anchored in a practise of presence, her work aims to create installations grounded in performance. More recently she has been focusing on creating works in the public space and unusual places that can facilitate unpredictable encounters with passersby. Through this process she prioritizes the momentary loss of bearings and uses actions as a tool of investigation for different personal and social conditionings. Her work has been presented throughout Canada and the United States as well as in Israel, Brazil, Cyprus, Serbia, Scotland, Spain, The Philippines, France, Belgium and Denmark. Working mainly in a durational format, I am inspired by the interval between art and the everyday and the multiple points where the two can intersect. I am more and more concerned with simplicity in the actions I create. That is not to say ? simplistic ? but rather in the sense of doing gestures that people can recognize; a common body without any decorations. Even if nothing happens something happens? I like to direct the attention towards the banal and the void between actions. I use endurance and time to investigate the potential for dialogue between my body, the body of the viewer, objects and architecture. More recently I have been interested in the idea of interchangeability where I aim to constantly challenge the line between the performance space and the non performance space.